We hope that you had a nice summer! Here are some news and resources brought to you by the OsteoConnections, the official blog of the University Health Network and Mount Sinai Hospital Osteoporosis Program. Check out the recently added patient education materials on our blog. Check out the most recent osteoporosis-related news and resources for Canadians. 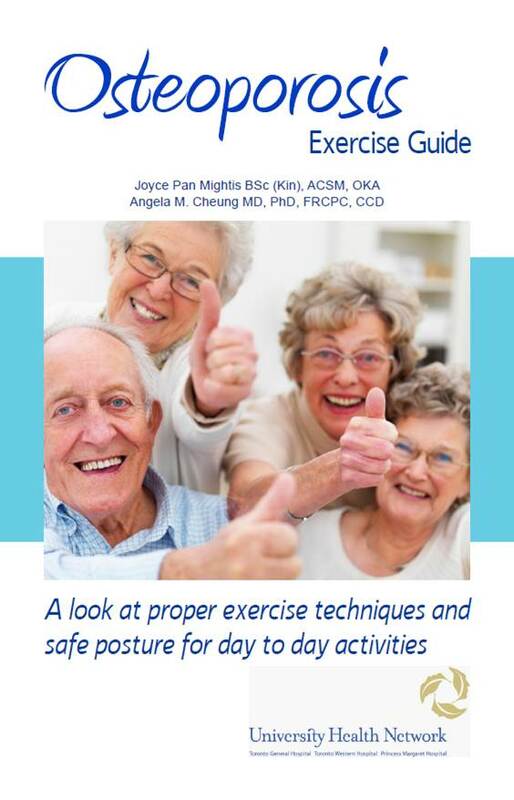 Exercise recommendations for people living with osteoporosis: Are You Too Fit To Fracture? Check out some of the patient education and healthy living resources found at our institutions. Click here for a PDF version of this blog post. Any questions about these news and resources? Comment in the box below!